Every week cards from Magic the Gathering increase and decease in value based upon a number of factors. Let’s take a look at some of the cards whose values have changed the most, and the factors behind why those changes occurred. Worn Powerstone is at an interesting place in its life. As an uncommon from Urza’s Saga, it was printed as a “fixed” Sol Ring. A two mana jump in mana can be huge. That means you have enough to cast Nekusar, the Mindrazer or Aurelia, the Warleader. Or a Primeval Titan. You get the idea. Sol Ring is obviously much more powerful, but market saturation due to the flood of Commander decks is depressing its price. Worn Powerstone is on the way up. In formats where you can only have one of each card (Commander and Cube) the Powerstone can often be looked at as Sol Ring number 2. It is also colorless, so you can run it nomatter what colors your commander is (you try to find good ramp in Grixis colors) or what colors you are drafting in the Cube. Since its increase in price is based solely on Casual demand, I don’t know how much farther it has to go. Six weeks ago it was $2. Now it is climbing surely, but steadily towards $4. Can it hit $5? $6? I don’t know, but I suspect the time to get in would have been a couple of months ago when it was $1. Here is another card that is behind held aloft based entirely upon casual formats, and from the looks of it, black control commander decks. That’s the actual card text to No Mercy. Maybe your commander is Oloro, Ageless Ascetic, the omnipresent Nekusar or Sol’kanar, the Swamp King. Whatever your plan is, this is a fantastic “rattlesnake” card that just makes every player away that you are not a threat unless you are threatened. It’s a rare from Urza’s Legacy and it has never been reprinted, so supplies are not that great. It has jumped to almost $13, come down to $9 and jumped again to nearly $12. This is indicative of a card trying to find a new price floor, and sooner rather than later it will stick. This is no longer the $6 or $7 it has been for the past year. I would not be surprised to see it stick around $14 or $15 in the near future. Once again, the power of Commander compels us. She is one of three possible Commanders for a Newspaper Commander Deck (Black, White and Red all over) and she is by far the most powerful. She is cheap to cast (only four mana!) which means that even if she falls in battle, she will be back again and again. That is saying nothing of the sheer soul crushing power of getting a free Angel of Serenity, Iona, Shield of Emeria or Linvala, Keeper of Silence. I don’t see her coming down any time soon. Lo, and behold a card played in a competitive deck! The price of real estate in Magic is only going up for right now, at least as far as fetch lands and dual lands is concerned. After Volcanic Island jumped $100 almost overnight recently, it is almost inevitable that every other dual land that is played in Legacy does the same. It is right at home helping players cast Brainstorm, Deathrite Shaman, Tarmogoyf, True-Name Nemesis and Vendilion Cliques alike. That is not to mention powerful Planeswalkers like Jace, the Mind Sculptor. I have a feeling we have more growth to be seen. 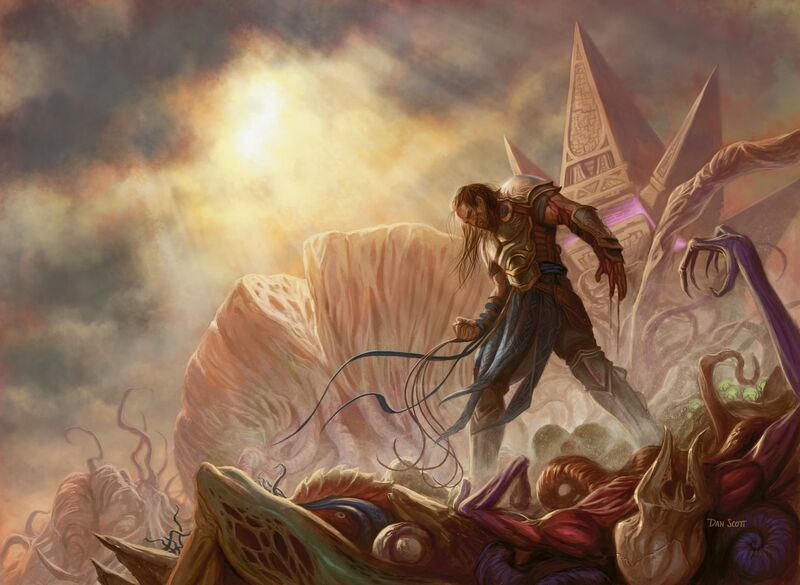 Grafdigger’s Cage find itself as the sideboard card of choice in both Legacy and Modern. It is featured in Esper Stoneblade, UWR Miracles, Death and Taxes, Sneak and Show, Imperial Painter’s, Jund, Faeries and more. It can easily and efficiently cut off Narcomoeba, flashback cards like Cabal Therapy or anything that Snapcaster Mage is targeting. It makes reanimation decks look silly. It makes Birthing Pod and Chord of Calling decks fair. If you don’t rely on your graveyard (or pulling creatures straight from your library – sorry Dryad Arbor) then you can run this, hopefully play it on turn one and just make some decks scoop. It’s hard to believe it has more than doubled in value in the past six weeks. I don’t expect that trend to continue, but I do feel it is going to continue to climb and will probably be at least $5 before it stops. Remember everything I said about Tropical Island? Repeat that, only this card helps enable Turn 1 Thoughtseize, Deathrite Shaman, Cabal Therapy, Green Sun’s Zenith for Dryad Arbor, mana elves and more. It is featured in Esperstoneblade, UBG, Jund, Elves, Shardless BUG, Nic-Fit, Junk and more. It is usually featured in multiples in the decks that run it, which is more than Tropical Island can say. I will be a little surprised if this does not hit $200 in the next month or two. Lands! Legacy offers a wide variety of powerful lands and this turn 1 enabler lets you break parity and star slamming down Karakas, The Tabernacle at Pendrell Vale, Dark Depths and more. Thoughtseize probably feels kind of silly when you are starting at a handful of lands. The card was only printed as a rare in Urza’s Saga, so there are not many to go around. The deck is not very prevalent in the metagame, but it is a viable option and can catch the opponent off guard by attacking from a different axis than most decks do. It has been appearing in MTGO Top 8s and the increase in price is indicative of players putting the deck together to try it out. It has been growing aggressively as of late (it was $27 as recently as Valentine’s Day) and it looks like it continue to grow. Back to Nekusar, the Mindrazer! What is remarkable about this is that even with four different printings (and one as an uncommon, no less) every version of this card is being snatched up to play with the Grixis commander of choice. What else would you expect from a one mana Storm Seeker that hits every one of your opponents while reloading your hand? It also makes it difficult for your opponents to stockpile answers in their hand. Combine it with a few reanimation spells and you can look at all of those freshly stocked graveyards like a kid in a candy store. I expect Wheel of Fate and Reforge the Soul to be increasing in popularity as well off the back of Nekusar. They both only have one printing. What’s better than a Winds of Change? How about a free Winds of Change every turn, forever? Even with a staggering five printings, this card has room to grow. I expect a lot people that even have this card in their binder consider it bulk, so I‘d say now is the time to strike. Never before has a group hug card felt so mean. The rise in the popularity of Modern has given way to the inevitable pimping of decks. As an eternal format, staple cards can be upgraded to their splashiest versions so that they look good on camera and impress your opponents while you stop their Scapeshifts and Splinter Twins. Negate is used in a variety of decks, including Splinter Twin, UR Delver, UWR Control, Azorius Midrange and others. The card had been showing modest growth and had been holding at $4 as recently as a week ago. I will be honest, I see the appeal, but for a card that usually is only seen as a couple of copies in the sideboard, I would be more excited about textless Lightning Bolt (already a considerable sum) or Lightning Helix. It has been printed eight times, as a common and foils of each of those versions can be had for $1.50 each if the player is concerned about making their deck look as fancy as possible. I think Negate just became victim of the latest internet buyout and will probably come crashing down to $6 to $8. I’d move mine if I had any. Ironically, I feel that is better positioned than Negate. It only has two printings. It is not played in Modern, but it used in Commander, as it can “tuck’ a commander or other problem card. I don’t feel bad at all about the card settling. It was $4 and jumped to $7, and has been trying to find a home between $6 and $7. I think in the long term this will see growth. This card may be grouped with the losers, but it is still a big winner in my book. It is especially impressive for an uncommon card. It had been a $4 card that jumped to nearly $7 and is settling. Growing 50% in the past month is nothing to scoff at. Not only is it popular in Commander decks that want their opponents to look the other way (like No Mercy) but it is now used in a variety of white control decks. It sees play in Soul Sisters (in the sideboard), Death and Taxes, Martyr Proclamation decks, and I could not be surprised to see it in Azorius Control shells in the future. It would also be interesting to see in Bant or Selesnya Hexproof. It is going to keep dropping too. Sure, it’s used in Esper and Azorius Control decks in Standard, but there are sure to be shake ups in the metagame with the release of Journey Into Nyx, and then rotation will be upon us. It is barely used in Modern and with the opening of many Duel Decks to get the Remand inside, supply will be flooding in as demand dwindles. That is a sure recipe for a downward crash in price. Let’s make no apologies here. Ancient Tomb is good. It is used in Sneak and Show, to help race for a turn two Show and Tell into Emrakul, the Aeons Torn or Griselbrand. In Imperial Painter’s it can get you a quick Imperial Recruiter or Painter’s Servant. It can give you a turn one Phyrexian Revoker, which can Stifle a lot of decks, if played correctly. Over the past month it jumped from $12 to $17 to almost $50 one after another. It’s a powerful card, but is it a $50 card? I think the market got a little carried away correcting itself and now it is destined to continue to drop down to a respectable $20 to $30 card. It will still be powerful and valuable, but as an uncommon and a printing in a From the Vault, it cannot just decide to quadruple without tournament results to back it up. Is it a $6 card? Is it a $9 card? It cannot decide and neither can the market. This card is only of use in casual formats. It is not a staple anywhere. It is a Johnny/Timmy’s delight, but is that enough? I don’t expect any answer soon.